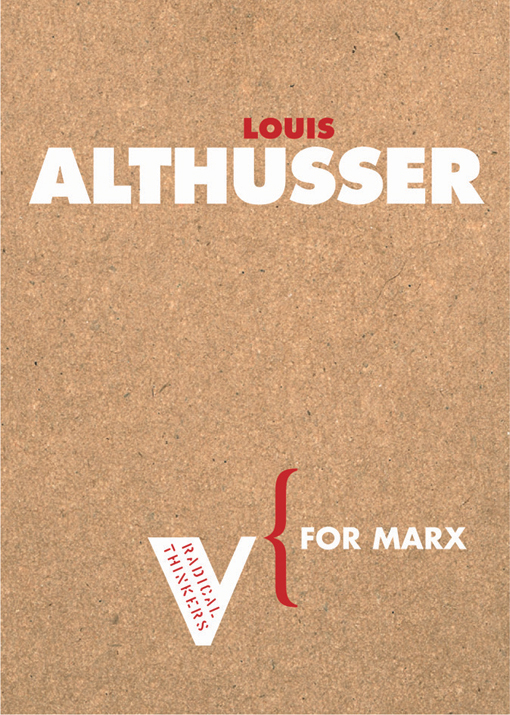 Los Angeles Review of Books has published "Marginal Thinking: A Forum on Louis Althusser." 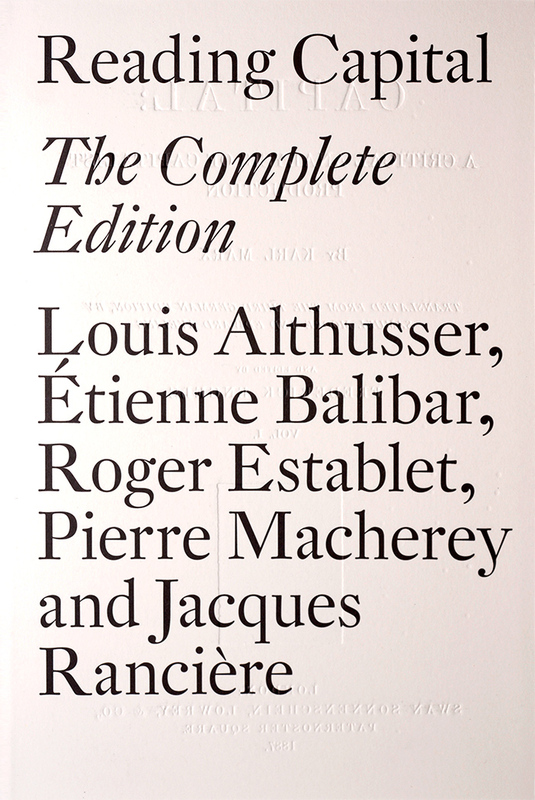 Edited by writer and filmmaker Jason Barker, the collection of essays includes Althusser's lecture on Rousseau's "state of pure nature," excerpted from Verso's forthcoming edition of Cours sur Rousseau, and considerations of different aspects of the philosopher's body of work by Richard Seymour, Nina Power, Greg Sharzer, Caroline Williams, Dariush M. Doust, and Barker himself. "'Rousseau's State of Pure Nature' along with the entire Cours sur Rousseau, is not some Althusserian collector’s item," Barker writes in his introduction to the excerpt. "Instead it relates to the most crucial questions of contemporary political philosophy — questions about the ends and origins of “man” and his increasingly perilous relationship with the natural world. For if, as Althusser asserts, the origins and ends of man are superfluous to the (scientific) study of history as a process, then what sort of “human” society are we left with? What sort of future lays in store for “us,” as a society, to say nothing of our ongoing survival as a species? Can we find a way out of our present “primitive” state given that ideology, the vehicle for our cherished liberal freedoms, has no history and, in all likelihood, no future either? Or might we imagine the future differently?" The oeuvre that remains with us today is at once fragmentary and voluminous, punctured by alternating periods of intense activity and absence on the part of its author. Taken together this oeuvre illuminates much more than the older, well-worn, faded shadow of a structuralist thinker. We must start by observing a strange paradox: it is almost impossible to separate Althusser’s writings from their inscription within the discourse of structuralism — and yet it is both delimiting and distortive to use without due care and qualification a concept of “structure” in connection with those writings. Always radical, sometimes conservative, structuralism sought to formalize relations of all kinds (be they linguistic, social, symbolic, or unconscious) in order to lay bare their position and function as elemental parts of a pre-given and ultimately knowable structured whole. If structuralism rapidly embedded itself within French intellectual life, becoming a shorthand for ahistoricism and antihumanism in method and quickly migrating to an Anglophone scene, it just as swiftly unraveled, mutated, and changed its shape and form. 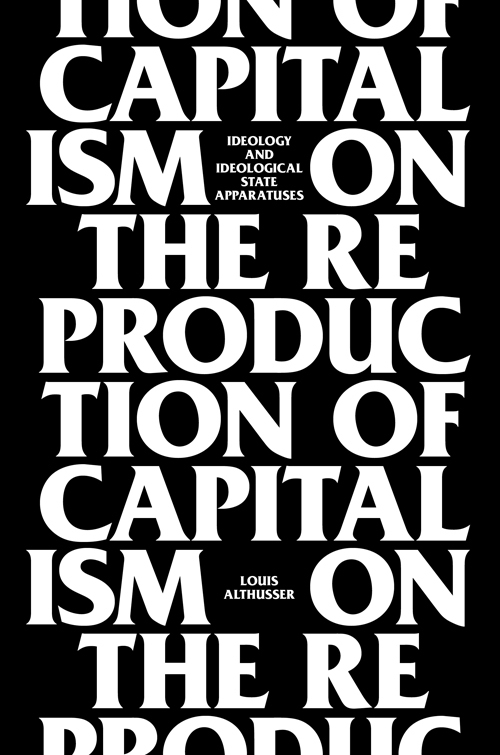 Prior to the publication of Reading Capital in 1965 (at long last published in English this year in its first unabridged edition) it became apparent that the concept of structure, or “structured totality,” adopted by Althusser, threatened to contain and totalize the otherwise open, dynamic, and overdetermined understanding of the persistence of the capitalist mode of production. 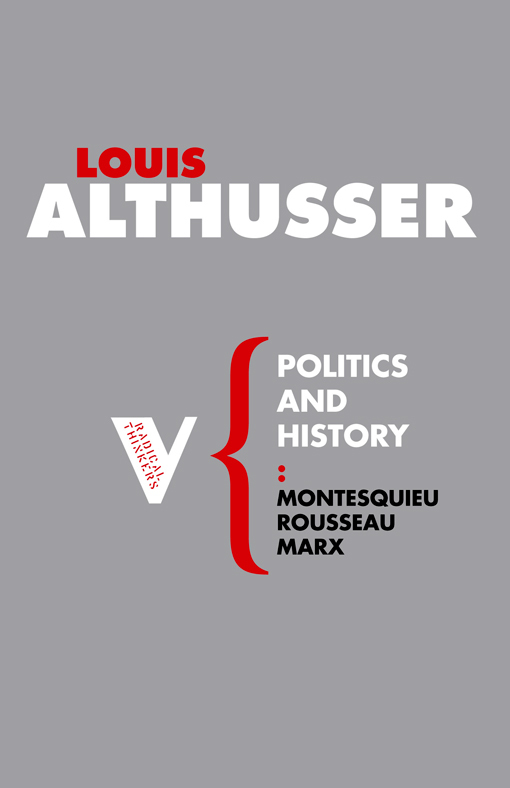 The effects of a static rendering of the relation of parts (elements of the superstructure) to the whole (the economy) can be seen in the 1970s and 1980s commentaries on Althusser that regularly accused him of dogmatism or functionalism, closing down Marxist analyses of history and change while emptying political struggle of a historical actor: the subject of history itself. I have drawn attention to this peculiar paradox of structure because Althusser’s writings contest on multiple levels the basis of such a dogmatic or functionalist reading. 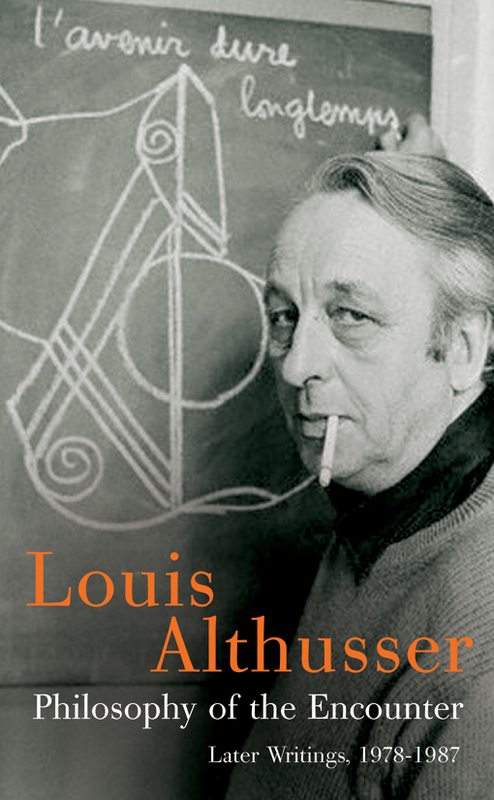 I thus wonder whether we are better served by questioning — and rejecting — this image of him as a structuralist: an image that poses, unhelpfully, an antinomy between structure and subject and fails to capture the analytical power and originality of Althusser’s position in relation to both of these concepts. Althusser wrote several pieces on the law, both reiterating Marxist ideas as regards its authoritarian and violent qualities (“Law is necessarily repressive”) as well as pointing out that the law’s repression could not exist in the absence of a corresponding system of sanctions — that is, it is not enough for states to make laws if there were not ways of punishing those who transgressed them. Althusser describes this system as the Repressive State Apparatus — courts, fines, prisons, the army, the police. 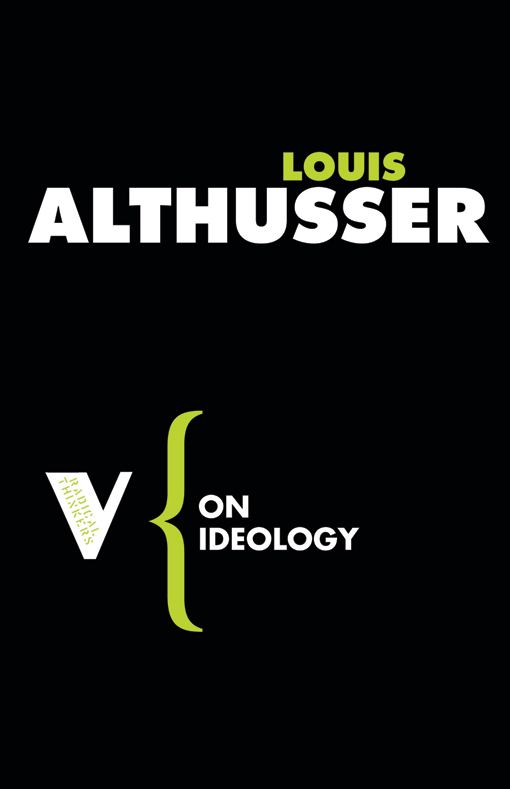 Althusser’s innovation, however, was to analyze the way in which law operates most of the time not by virtue of direct repression but by a form of preventive repression. In a discussion of civil law, Althusser points out that when contracts are made, in the vast majority of cases the terms of the contract are observed without any need for the state to directly intervene. But what explains this subjective internalization of law? Why do we observe laws simply because they exist? Althusser suggests that we are at all times in the grips of “legal ideology” — bourgeois property-relations, institutionalized inequality, and the separation of the people into those who count as “law-abiding” and those who do not. At the same time, the law is an expression of capitalist relations of production while not directly mentioning them. “On the contrary,” Althusser remarks, “itmakes them disappear.” The law is completely systematic, even where it is not codified (think of the sprawling mess of the English legal system, and nevertheless how historically “successful” the system of case law and precedent has been). But the law also requires a kind of supplement — it is not enough for the law to refer to itself as justification for its own existence — which Althusser calls “moral ideology.” In the case of law, these are abstract ideas of freedom, equality, and obligation. These exist as a discourse outside the law but at the same time structure it. 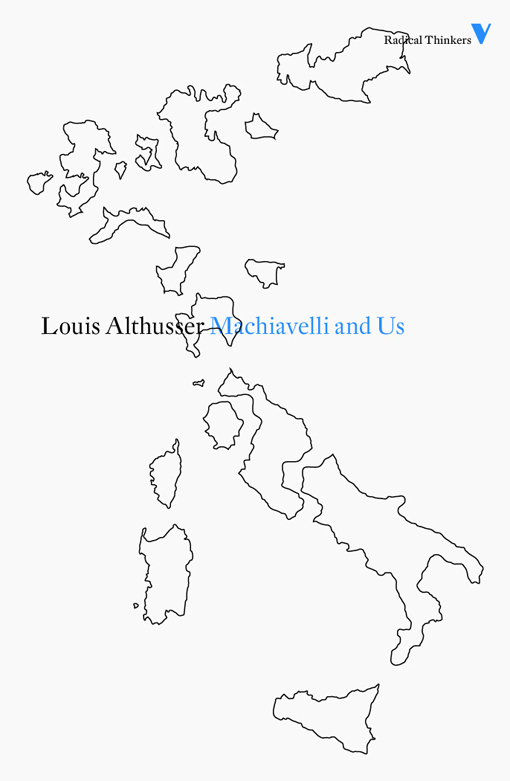 In 1986, Althusser gave his fullest account of “the existence of an almost completely unknown materialist tradition in the history of philosophy: […] a materialism of the encounter, and therefore of the aleatory and of contingency.” In excavating this tradition, Althusser imparted a radical rereading to Machiavelli, Hobbes, Spinoza, and Marx himself. Aleatory materialism had as its object something external to philosophy itself: the void. In Epicurus, the void is filled with atoms descending parallel to one another, never meeting until the chance, “infinitesimal swerve” of an atom enables an encounter which precipitates Being, progenerates worlds. This underground current, where it appears in Marx, resists the historicism according to which modes of production progressively unfold under the sway of a dialectical principle connecting origin to end. Instead, each mode of production is a result of a chance encounter between elements which “might not have taken place.” Whereas bourgeois political economy traces the origin of capitalism to what Jason Read calls “the idealized memory of an individual capitalist’s accumulation” — i.e. savings — historical materialism must stress its novelty, its emergence from the chance encounter of atoms, failing which the emergence of capitalism in the English countryside might not have taken place. 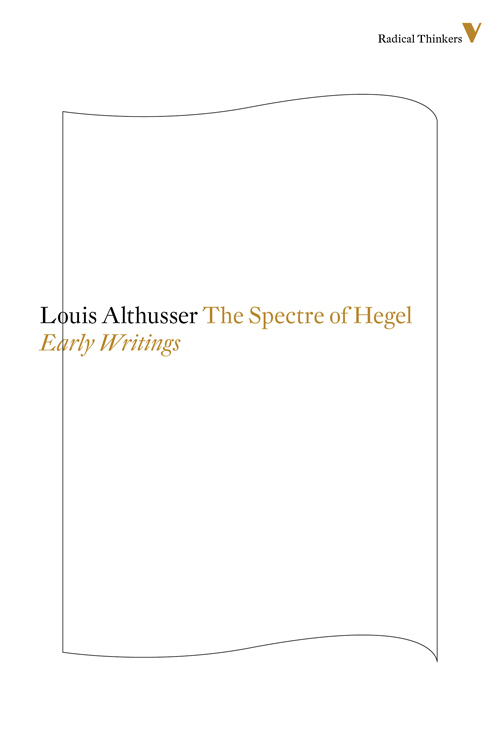 This radically anti-necessitarian approach is Althusser’s final answer to teleologies, materialist or spiritual, and it retroactively refigures the essays of For Marx. Althusser, later in his life, wrote about rain. A flurry of rain and among the drops one of them deviates from the vertical path, swerves, and encounters another drop. 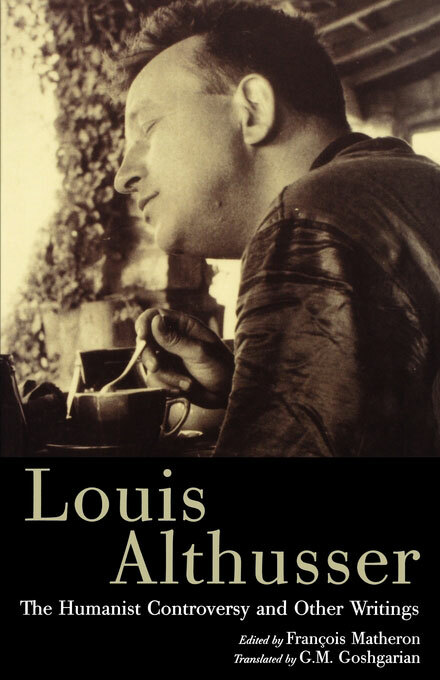 Althusser’s aim in his late text is to highlight “the existence of an almost completely unknown materialist tradition in the history of philosophy: the ‘materialism’ […] of the rain, the swerve, the encounter, the take [prise].” These lines, dating from 1982-’83, open a projected book that was posthumously published in essay form as “The Underground Current of the Materialism of the Encounter.” In it, Althusser develops a theory inspired by the atomist tradition, by Democritus and Epicurus — a theory of contingency as the aleatory trigger of any causal chain of events, one which cannot exclude a renewal of encounters, like the throw of the dice that never abolishes the possibility of new throws, as the oft-cited title of Mallarmé’s famous poem has it. Can this theory of rain be read in relation to the arts? “Philosophy,” as Althusser writes, “is, in the last instance, class struggle in the field of theory.” In other words, philosophy is never disinterested or objective. The philosopher enters into a war of ideas, between ideologically progressive and reactionary forces, that threatens to destroy not only his status as a philosopher, but also the institution of philosophy in its present form. This was confirmed only a few years later with the spectacle of the self-styled “new philosophers,” including Althusser’s former students Bernard Henri-Lévy and André Glucksmann, regularly holding court on primetime French television. But from the mid-1970s Althusser also began to say something else. He shifted the tone, if not the substance of his ideas, from philosophy as class struggle “in theory,” to philosophy as an “objectless” discourse. Philosophy, Althusser will maintain, adheres to the principle of Epicurus, materialist through and through, that the world is the product of contingent encounters that provide no guarantee whatever for the persistence of any “state” whatever. In short, our knowledge of history, and of the events that went on “before,” provide the barest of clues as to what may come about in future. Philosophy therefore cannot provide the theoretical guarantee for a science of history. What philosophy may do instead is enable us to think such contingency in the realm of science. 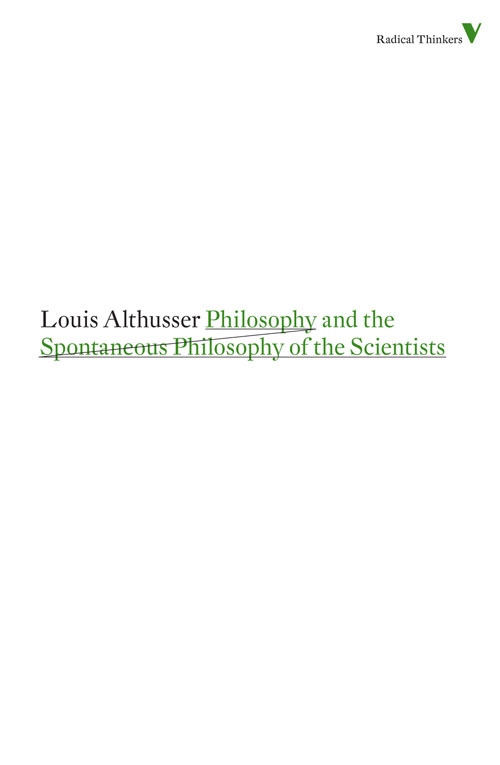 In so doing, the philosopher would be practicing philosophy in a new and progressive sense — as opposed to a conservative and idealist sense — which, moreover, according to Althusser remains consistent with Marx’s own novel philosophical practice. Althusser’s theory of ideology can easily be applied to the petty bourgeoisie, Marx’s term for the middle classes who both own their own workplaces and have to work in them, such as small business owners. Consider the premises of localism: a democratic firm can operate at the margins of the market, selling fair-trade coffee or locally grown vegetables to ethical or marginalized consumers. Reminiscent of Althusser’s exasperation with humanism — proclaiming the universal subject “Man” when only the capitalists are truly free — this kind of add-it-up economics assumes that if one community garden can change a neighborhood, then a network of them can change a city, and so on across the globe. In place of seeing how the law of value forces capital to expand and destroy other alternatives, localists substitute their own practice. Althusser nods sagely: “Such is the role of this temptation of the recourse to ideology […] by making one’s need and impatience a theoretical argument.” Yet this impatience is not (just) a mistake. It is “the index of a historical reality, and simultaneously of lived ambiguity” that creates and reinforces all ideology. As Althusser observes in Lenin and Philosophy, we can’t even understand capitalism by looking at individual firms, because capitalism exists — and can only exist — as a social system: “What happens at the level of the firm,” he writes “is an effect.” To claim to be able to reform capitalism, firm by firm, appeals to the professional who both owns and works. The petty bourgeois wants capital without capitalism: the freedom to buy and sell, but without the inevitable competition that comes with it. A localist enterprise is an ISA in terms of what it doesn’t signify: it marks a refusal to acknowledge the ongoing battle between labor and capital, present when someone works for the minimum wage or can’t get health care. Rather than making demands on power, localism tries to create fair trade around the margins of the market. In doing so, it imagines a society without a law of value that restricts both capitalist undercutting and workers’ demands for lower prices. It’s a clarion call of the small capitalists, who demand classlessness because they’re trapped between classes. Just as ideology isn’t false, neither are local enterprises impossible; but the idea that a currency or business can supplant a dominant dollar or corporation ignores the system of weaponized class power the American state uses to prop up its capitalists. Verso will publish the first English translation of the complete edition of Reading Capital in July.